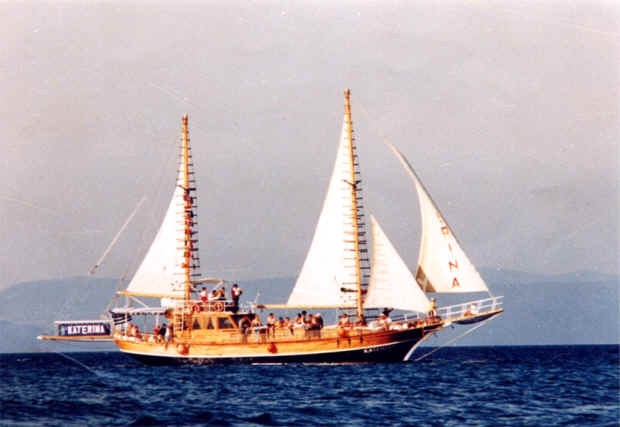 Wooden boats leave the harbour of Kalymnos daily and make excursions to the nearby islands or around the island. 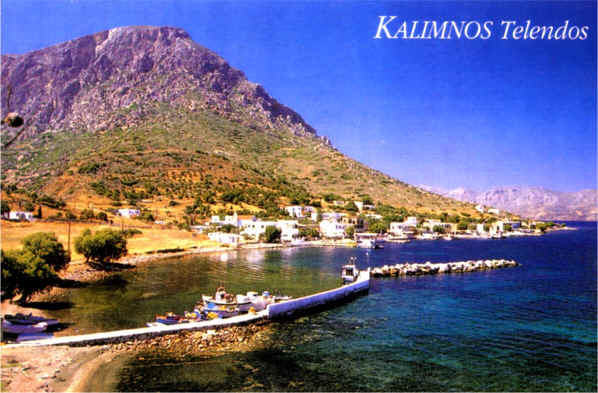 that is in the south of Kalymnos. 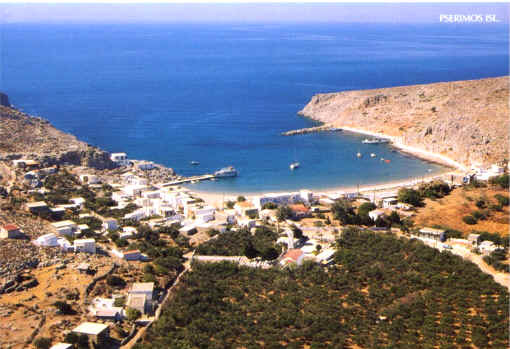 The residents are few, there is a big beautiful sandy beach and traditional restaurants. which was formed when an earthquake sunk the valley in between. by the impressive boat, " Katerina ".